With the water that comes through our homes from the tap being full of chemicals, who would want to drink it? It tastes disgusting and who knows what bugs are coming through with it. On the other hand, bottled water costs a small fortune and who has the money to be buying bottled water all the time? There is an alternative to tap and bottled water. Filters are one way to clean out all the chemical components and the bugs often found in our tap water that can cause stomach and bowel irritations. There are a few different options with water filtration. You can buy water filters to have fitted onto your tap or you can buy a water cooler with a water filter. Compare the costs of buying bottled water each year with the cost of the filter. The filter will cost you between $55 and $110 per year depending on how many people drink from the water cooler. Bottled water will cost you on average between $970 and $1940 per year. Using a filtration system is more economical. A large percentage of the body’s cells are made up of water so it is important to stay hydrated by drinking plenty of water. Health professionals recommend two litres per day. Water is also a very important part of the blood and the lymph system. The body loses water through perspiration and normal elimination so it is important to replace what the body loses each day. There are more health benefits to drinking water as well; once you know these you will never look at water quite in the same light again. It is a natural remedy for headaches and backaches due to dehydration. Not only will you enjoy younger, healthier looking skin but it also helps to regulate the body’s temperature when exercising. Water also helps you to be more alert; your brain is made up of water. It also helps with digestion and constipation by raising your metabolism. These are just a few of the benefits of drinking two litres of water per day. 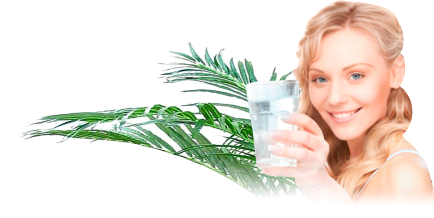 So, for your own benefit and health, it would pay to make sure the water that you are drinking is clean and free of chemicals and other impurities. This is why it is so important to invest in a filtration system. The filter helps to get rid of the impurities and chemicals in the water. Do yourself a favour and get one today. This entry was posted in Drinking Water, Water Filters & Purifiers, Water Health and Safety (OH&S) and tagged tap water, water filters by Teala. Bookmark the permalink.